Darren Aronofsky's dazzling pirouette into madness stars an Oscar-winning Natalie Portman as a ballerina driven by matriarchal obsession, self-loathing and sexual confusion. When a rival dancer (Mila Kunis) sets her sights on our heroine, the stage is set for tragedy and violence. Jeremy Saulnier re-wires the old-fashioned revenge thriller into something less cathartic, and more unsettling. Macon Blair plays a homeless man who kills his parents murder, but screws everything up along the way. 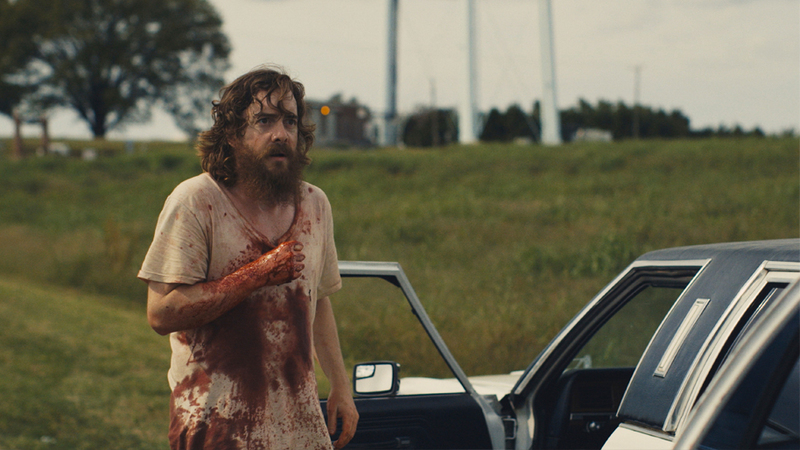 If it wasn't so thriller, Blue Ruin would be the anti-thriller. Shion Sono's shocking, brutal, and utterly amoral thriller Cold Fish may not have had a major release in America, but those who have seen it understand its power. A mild-mannered aquarium owner named Syamoto (Mitsuru Fukikoshi) falls into orbit around his more successful rival Murata (Denden), only to discover that the confidence that makes Murata successful in business (and with the ladies) stems from sociopathic violence. As his wife and daughter become corrupted, we look to the mild-mannered Syamoto to lead us out of this Hell. But the only way out... is directly through. Based on a grotesque true story, Craig Zobel's back room thriller Compliance tells the story of a fast food restaurant manager (Ann Dowd) who receives a phone call from a police officer (Pat Healy), implicating one of her employees. But as the story builds, and as all the employees are encouraged to do more and more questionable things in the name of this unseen authority, we realize that something altogether more sinister is going on. Unsettling and slimy. Joel Edgerton wrote, directed and stars in this insidious little nightmare, about a seemingly idyllic couple (Jason Bateman and Rebecca Hall), who run into an old, old acquaintance (Edgerton) at random. Then he won't leave them alone. Is he a harmless kook? A dangerous stalker? 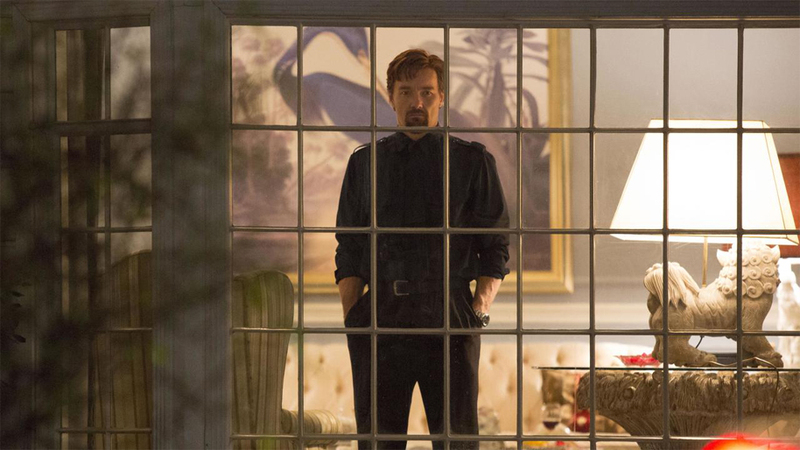 The Gift takes everything you've come to expect from the psychological thriller genre and twists it around, hitting every target in sly, unnerving ways. Savage twists are everywhere in David Fincher's gloomy, cynical marital thriller. 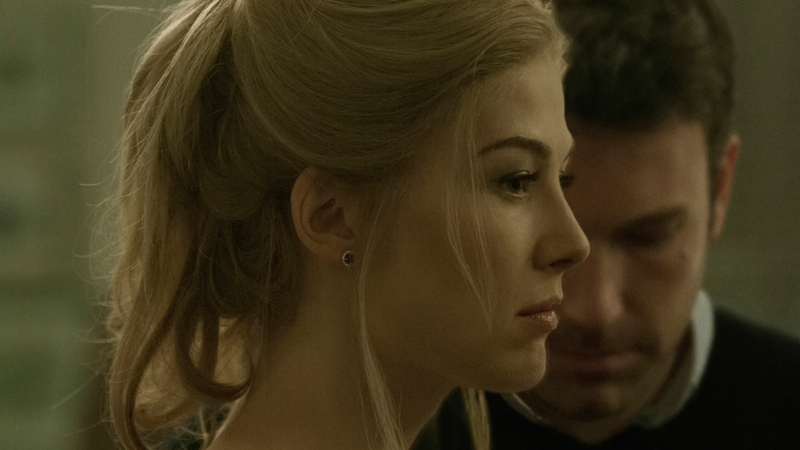 Ben Affleck plays a man whose wife (Rosamund Pike) goes missing, and the media scrutiny soon turns him into a suspect. Then... something happens. You should discover what that is for yourself. Impressive performances and an unpleasant perspective on gender roles and 21st century romance make Gone Girl worth looking for. A grieving man is invited back to his ex-wife's house for a dinner party, with his old friends and her new husband. That's uncomfortable enough already, but Will (Logan Marshall-Green) can't help notice sinister little details about the hosts, and their very well-guarded house. 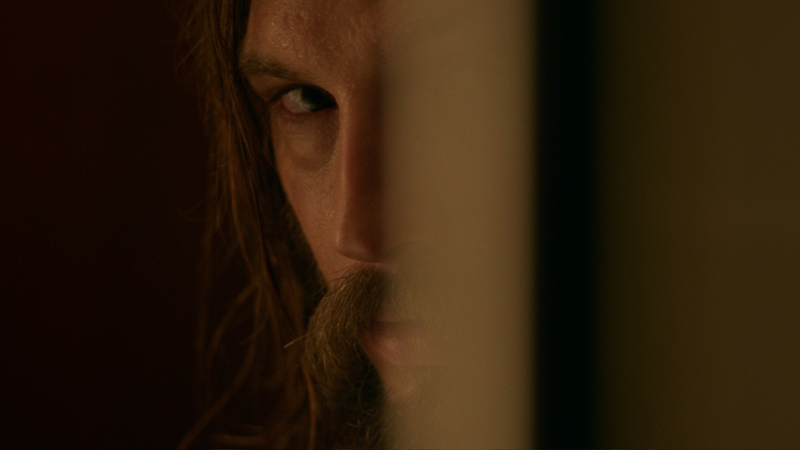 The build-up is nearly infuriating in The Invitation, because Karyn Kusama's film is such a potent drama about grief that it wouldn't actually have to end in violence in order to be satisfying. So stick around either way. You won't be disappointed. Half thriller, half drama, all creepy. Sean Durkin's powerful Martha Marcy May Marlene stars Elizabeth Olsen as a young woman who escapes a disturbing cult, only to discover that her family can be just as controlling. John Hawkes is terrifying as the cult leader, but Olsen carries the film as a woman so torn she can barely function. 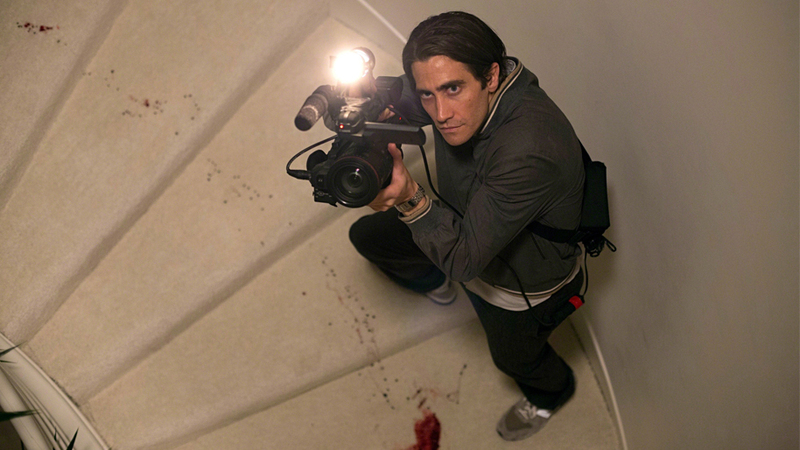 Dan Gilroy's brilliant thriller Nightcrawler stars Jake Gyllenhaal as an industrious young man who goes into business selling videotapes of car accidents and crime scenes. And when he starts getting good at it, he starts to realize that he can stage them all himself. Gyllenhaal gives a performance for the ages in a film that punches morality in the face and knocks some teeth loose in the process. Korean thrill expert Chan-wook Park came to America to film this strange psychological scar, in which hauntingly beautiful images intertwine with sleazy psychodrama of the highest (or possibly lowest) order). Mia Wasikowska plays a young girl taken in by her alluring uncle, played by Matthew Goode, right after the mysterious death of her father. Something wholly untoward runs in this film, and it runs deep. Wading into Stoker's madness is a haunting enterprise.